Shares in Quantum Resources (ASX: QUR) were up more than 25% in the first half hour of trading on Tuesday morning following an announcement by the company that drilling had commenced at the Thompson Bros. Lithium project located in Manitoba, Canada. With more than 22 million shares traded by midday, today will represent the second-highest daily volumes ever traded. 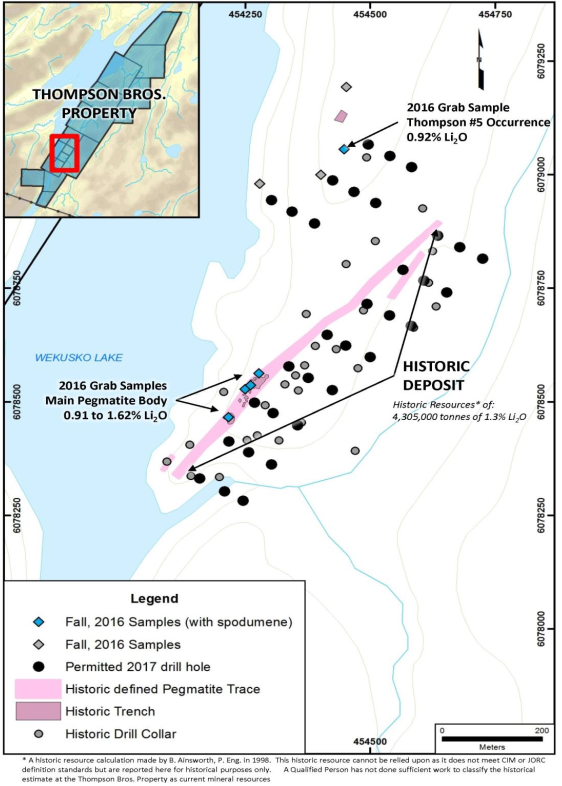 As a backdrop, a 2016 winter exploration program was conducted at the site, primarily aimed at validating and expanding on previous returns, as well as assessing other historical work that had been undertaken. This program resulted in the delineation of excellent lithium samples, including 7520 ppm Li or 1.62% lithium dioxide. 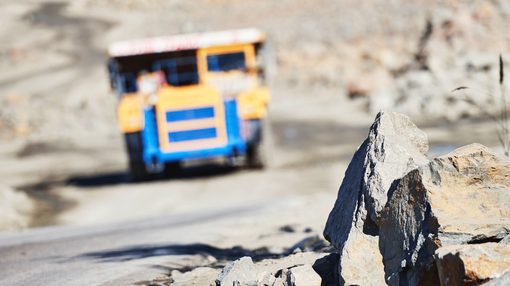 Lithium mineralisation was identified at multiple locations within the project, including further confirmation of broader mineralisation at the main Thompson pegmatite deposit, as well as a possible new source of lithium mineralisation at Thompson #5 which could significantly boost overall tonnages. This has prompted the company to fast track a drilling program to confirm the historical, non-JORC compliant resource (as indicated below) previously calculated on the project which estimated 4.3 million tonnes of lithium dioxide grading 1.3%. The current drilling program will test much of the historic drilling, but may also explore down dip extensions of previously identified zones. It is anticipated that this drilling will allow an initial JORC Compliant Inferred Resource to be calculated. The substantial share price movement on Tuesday morning suggests investors are buying up in the expectation of encouraging drilling results. Relatively near-term assay results will provide a reasonable indication of the potential for establishing a commercially viable resource, and as such have the potential to provide further share price momentum.